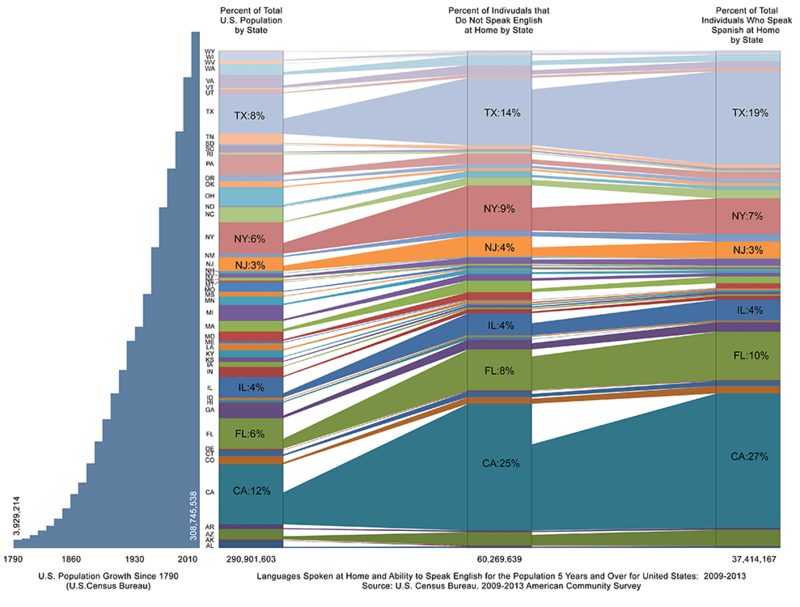 MassEd – Graphic used to illustrate rise in population, population by state, and the number of individuals who speak Spanish as opposed to English. Application targets for MassEd products. Each product targets intent and location. MassEd App for small activities and listening/watching on the go. For example, on a bus or train to work. MassEd color logo treatment. Vertical and horizontal. Black and white versions are similar. The MassEd project was developed to solve problems caused by the lack of a common language. Through the production of low-cost, large-scale, English-language training courses and materials, communication skills would improve and individuals would be able to connect with previously inaccessible services, groups, and business opportunities. Although starting in the U.S., the materials would be used across the planet, focusing on English as the primary language of global business. There is quantifiable value in both the standardization of teaching methodologies and the more efficient functioning of society. Businesses would ultimately spend less time training employees, improve safety training, and allow various services to communicate with their customers more efficiently. MassEd would differentiate itself through multiple training approaches and low-cost/free-to-use initiatives that make the service available to all. The approaches will parallel the five levels of communication: intrapersonal, interpersonal, small group communication, public communication, and mass communication. 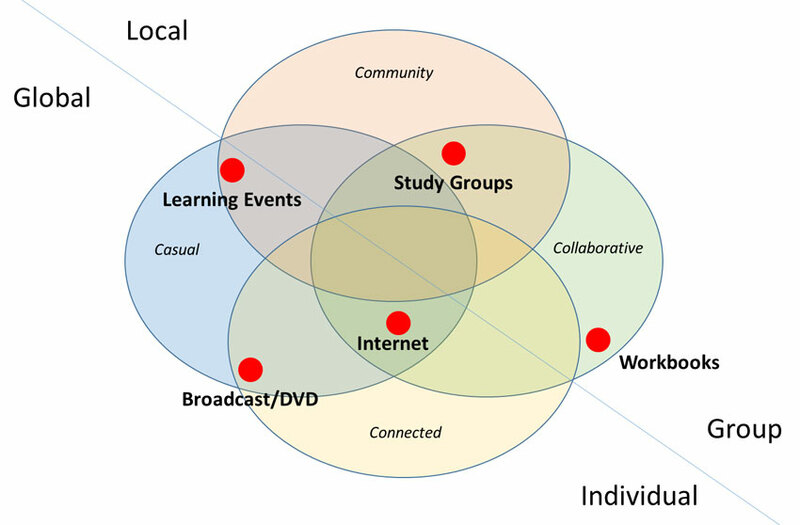 Ultimately, the experiences will improve the lives of learners by making their communities and world more accessible. 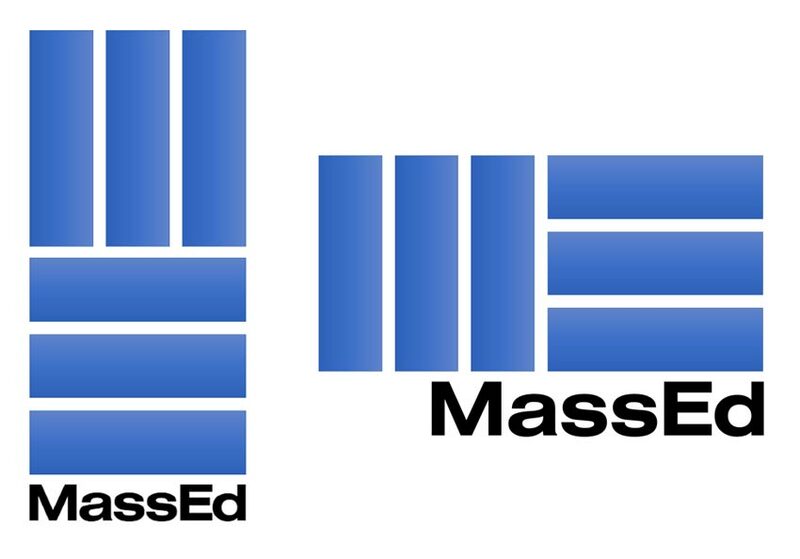 MassEd is about embracing the future of globalism and its influence on value systems, knowledge, and commerce by bringing a foundational skillset to every resident of the planet. The proposal was developed as a non-profit business plan. I developed all graphics and structured instructional design strategies for the concept materials.